paradise for those in the know! 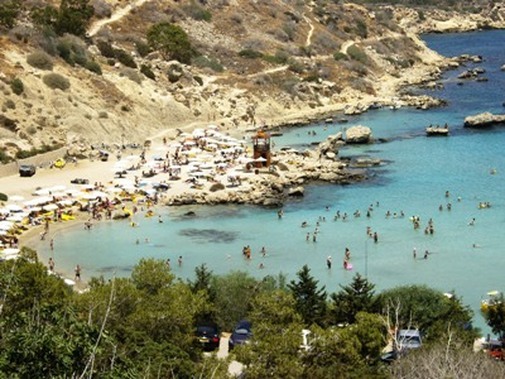 Konnos Bay is located at the Eastern edge of Ayia Napa where it meets the Protaras regions. 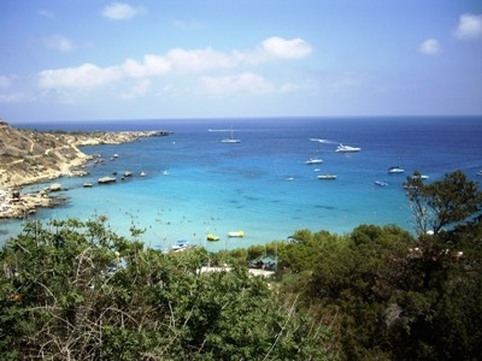 It forms part of the Cape Greco national Park, an area of outstanding natural beauty. This gorgeous bay is pine fringed and has sparkling azure waters. It is a very popular beach for locals and is rather well hidden so although it gets very busy at weekends it's a great little hideaway to head to for a change from the main tourist areas. 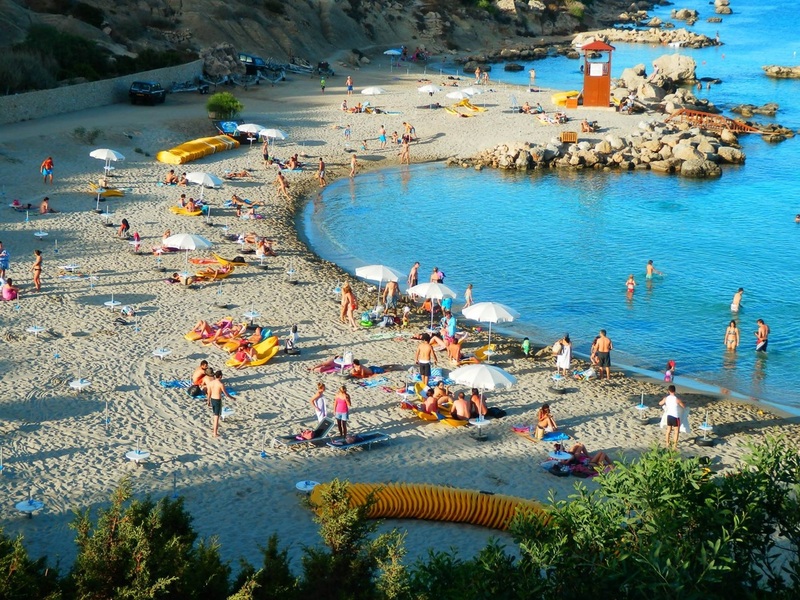 Konnos Bay also has a snack bar and a great selection of watersports available and it's ingenious sun loungers available for hire actually float in the water. 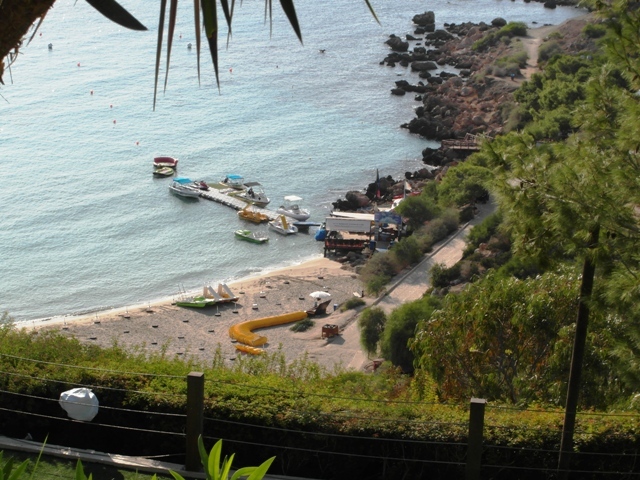 Perched above the beach is the impressive Grecian Park Hotel and the simple Konnos Bay Apartments. 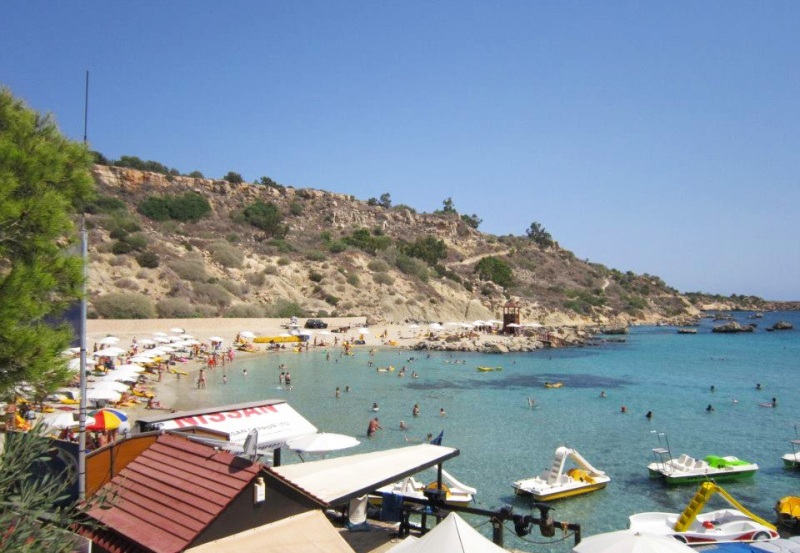 Protaras and Ayia Napa are each approximately 5km away. The pine fringed hillsides that tower above this picturesque cove shelter the beach and provide a stunning backdrop to this idyllic spot.